Imagine a world without water. It’s hard, isn’t it? Water is everywhere! We can’t survive without it. In this series, you’ll learn about how water shapes our world’s geography in the form of rivers, lakes, seas, ponds and canals. How are these bodies of water formed? What’s the difference between them? How do people and animals use them? How can you stay safe around water? (Learning to swim is a good start!) 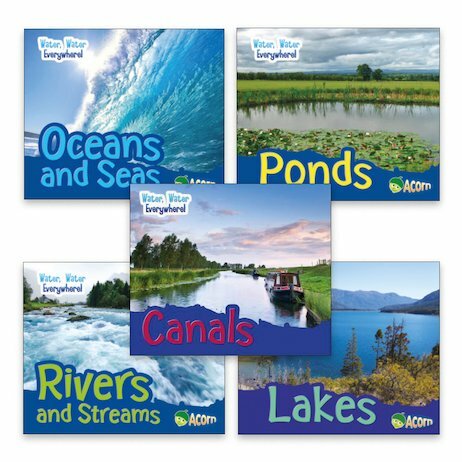 Each engaging book has lots of fun facts, colour photos and easy-read text, plus a world map at the end showing where to find major bodies of water.